Who built the box you are in? People for some reason love to ‘put us in boxes’, we are grouped according to our occupations and other criteria that people decide to group us into. Boxes are amazing things in general, we theoretically live in boxes and find security in these spaces. 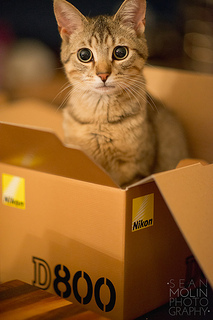 Cats can easily be caught with a box – simply place the box on the floor and within no time a cat would have made itself comfortable in the box. The good boxes and the boxes other people wish to place us into are fine, but the danger comes when we place ourselves in proverbial boxes, thinking that we are only capable of doing certain things. When this happens we effectively limit our thinking and accept life as it is, forgetting to look for possibilities that exist around us. Unfortunately the box syndrome happens very quickly and is in most cases unintentional. The only way to avoid your life from stagnating is to look for new opportunities and do this by pro-actively reminding ourselves to take stock of our lives at least every three months. Yes, every three months, because that is how long experts say it takes to form a habit. Don’t live in denial any longer – realise you are in a box in one way or the other as we all are, the challenge is to decide not to stay in the box any longer than you have to. Remember that you, just like the cat, need to decide when to jump out of that box. If you stay there too long the lid may just close and you will be trapped forever. This entry was posted in LEADERSHIP and tagged communication. Bookmark the permalink.